Busch Gardens® Tampa is providing guests with plenty of ways to celebrate St. Patrick’s Day this weekend! March 16-17, enjoy traditional Irish food such as corned beef and cabbage and drink green beer while roaming the theme park. The festive food and drinks will be available at the Dessert Grill and Crown Colony House® Restaurant. 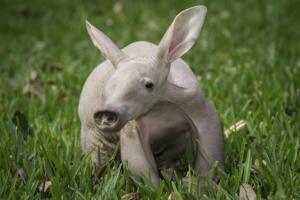 While celebrating the luck o’ the Irish, check out the baby aardvark recently born on Tuesday, Feb. 6. The healthy baby is expected to grow to more than 120 lbs. within its first year of life, and is the third baby born to parents Izzy and Friz. To purchase tickets, visit buschgardens.com. Stay tuned for more fun things to do in Tampa Bay this weekend!